So no more raincoats, umbrellas, gloomy days and darkness at 4 p.m. during fall. My internship was coming to the end and I was lucky enough to be offered a full-time position within the company. Time to start decorating my cubicle! It is odd not seeing a Starbucks on every corner, beckoning me with open arms. 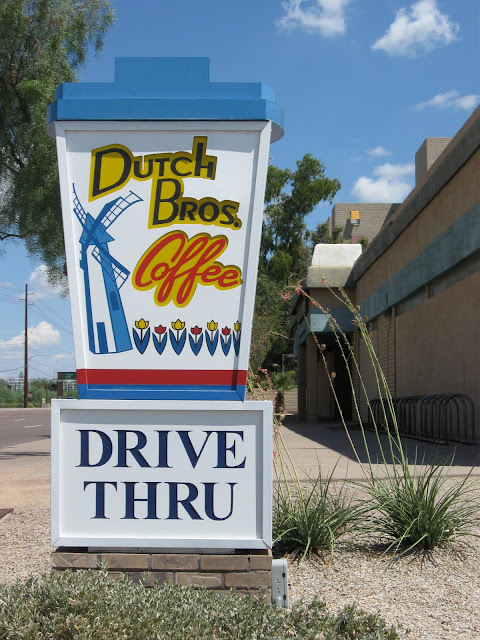 I tried Dutch Bros. for the first time, odd, tasty, and still caffeine filled! It'll work (sometimes), Thankfully there is a Starbucks directly next to my office. But just think, now you have a warm place to come visit:) Plus, best mexican food ever!